Swimming is a great way to get in shape, but a swim spa amps up the enjoyment of the swimming pool AND helps you get in a better workout. Is a swim spa right for you? The reasons you may want a swim spa vary, but they are healthful and relaxing. Swimming in a swim spa helps you get more out of your workout and really heightens the cardio and lung capacity workout you will get. In a swim spa you are toning your muscles even more, burning calories and having fun. What more could you ask for? How can you know whether a swim spa is right for your family or if you’d be better served with a full size pool? 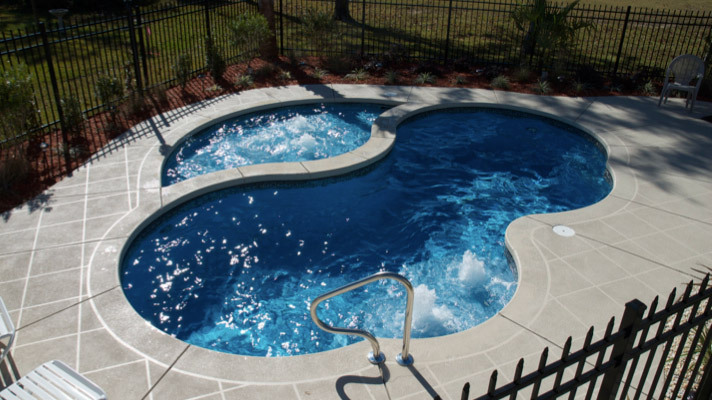 Here are some of the reasons to opt for a pool in specific or a swim spa in general. What’s your budget? A swim spa may cost you less. That is a major factor for many potential pool owners. When you have a swim spa, the benefit is that you can add jets that will help you to swim upstream against them to get in an even better workout. Talk with us to see which option — swim spa or traditional pool — is best for your family. A swim spa is smaller and more self contained and could cost in the $20,000 range where a full sized pool may start out with a price tag of about $40,000.